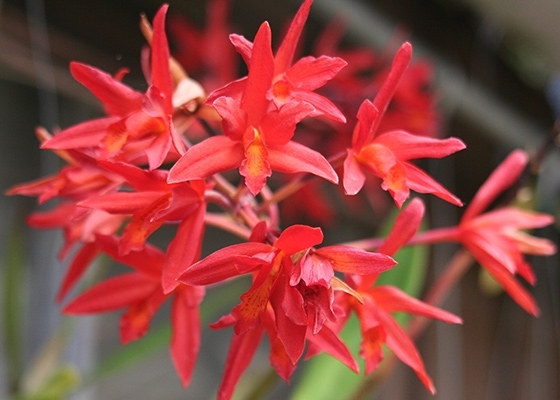 The combination of two hot species, Cattleya aurantiaca and Laelia milleri, produced the spectacularly intense, red color of this primary hybrid. These have been growing in an unheated shade house for years, surviving the Winter of 2007 when temperatures dropped to 28 degrees. .Temperature Tolerant. March - April blooming.